A family owned bridal and events product company with a mission to promote joy and love. Our products also bring awareness and fund battles against illiteracy, child labor, and human trafficking. their spot, and your waiters serve faster! BEAUTIFULLY MADE TABLE NUMBERS: Made with extra thick wood and cut with a precision laser, these wedding table numbers will add a luxurious and vintage to the decoration of your tables and space! The Merry Expressions table numbers with holders are reusable, so even if they get dirty, you can easily clean them and place them back on their designated on a table. 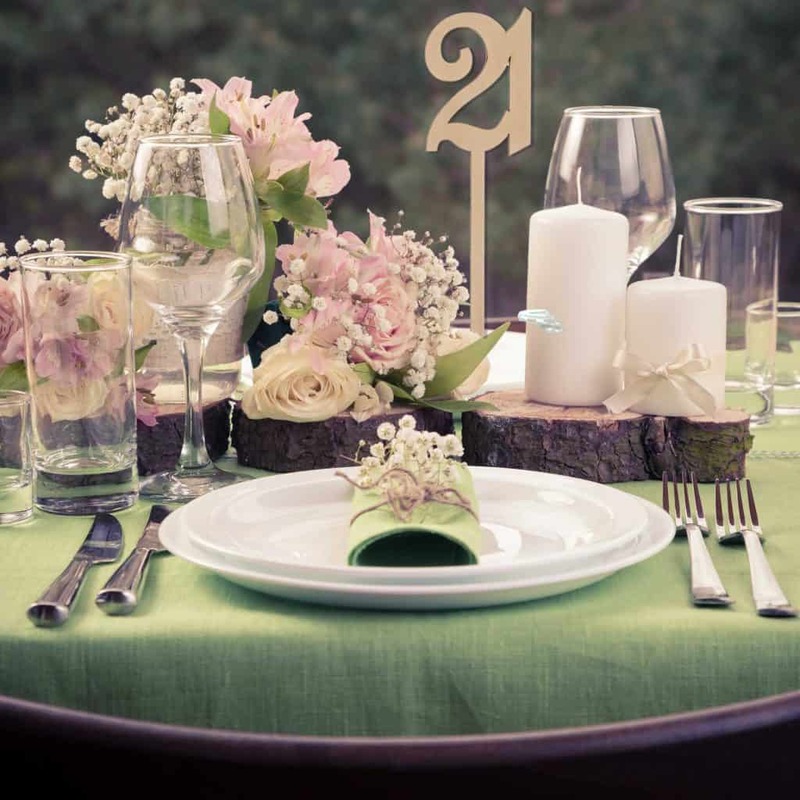 PRACTICAL AND DURABLE DESIGN: Card table numbers are not a very practical choice, because they get hidden behind the plates, glasses and bottles on tables. 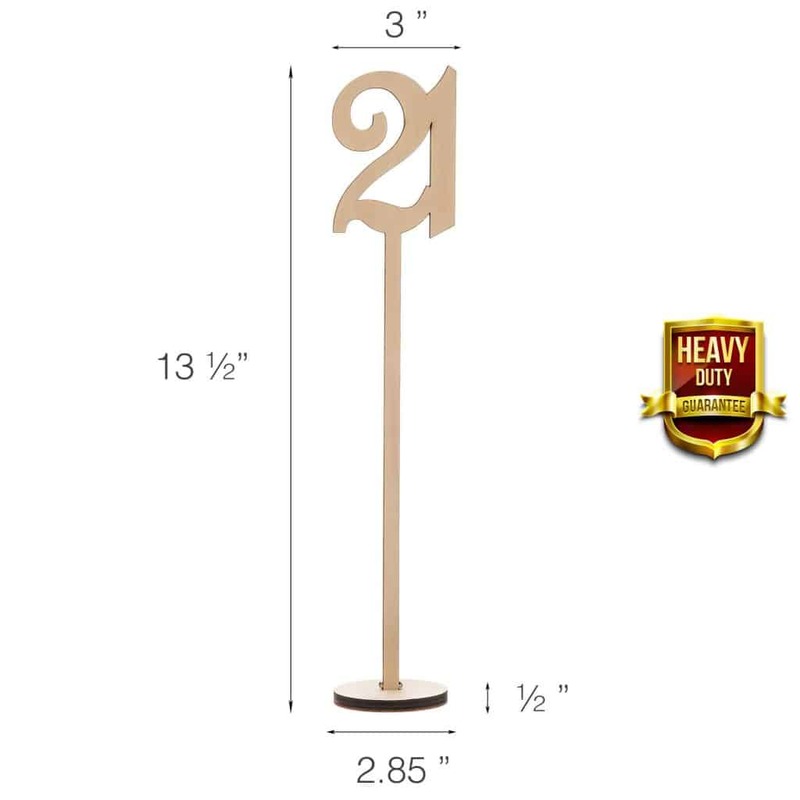 For this reason, Merry Expressions have designed these wooden table numbers with long sticks and sturdy holders, so they can be visible from far. And if you have small plant pots or flower vases on your tables, you can place the wooden numbers there, without their base. 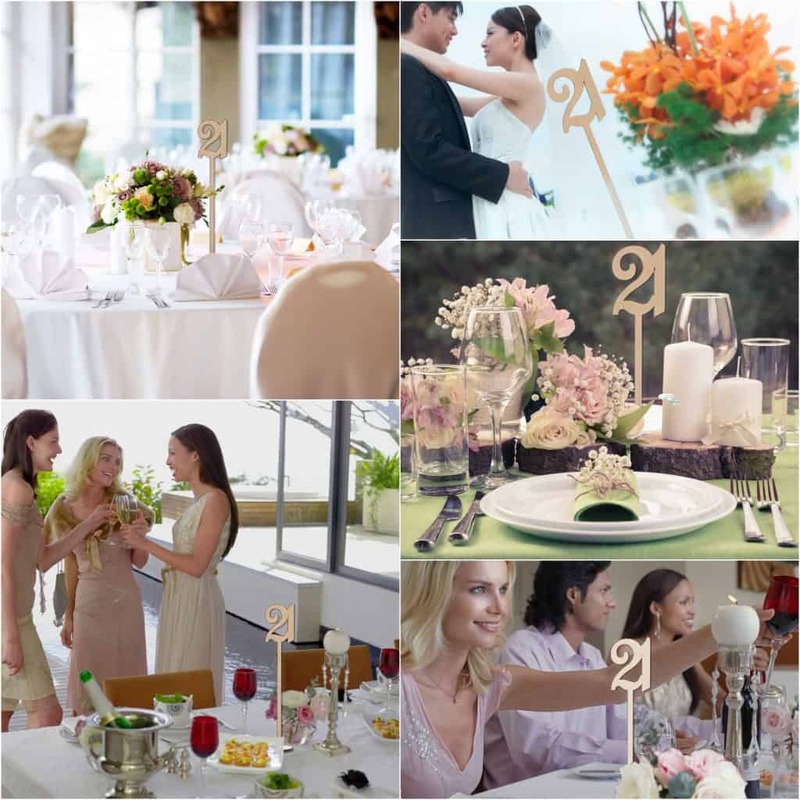 CUSTOMIZE THE TABLE NUMBERS: The wooden table numbers have a natural, goldlike color that matches most – if not all – colors. You can use the 1-25 table numbers as they are, or you can paint them and give them a specific color or pattern, based on your style and the interior decor of the space you wish to decorate with them. Be creative! 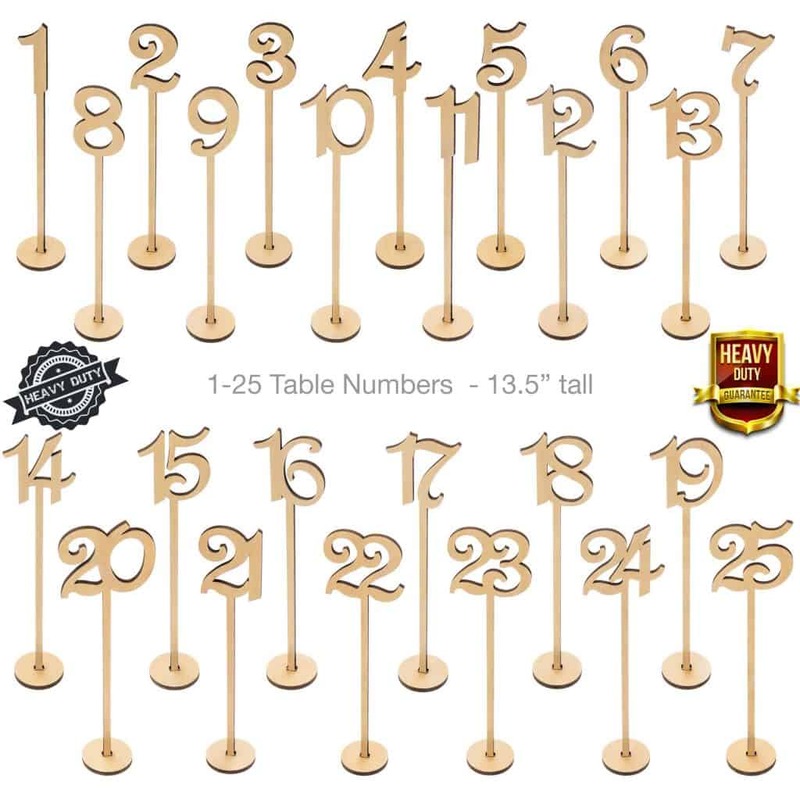 HELP US MAKE THIS WORLD BETTER: Here at Merry Expressions we strive to bring awareness with our wooden table numbers and other products, and fund battles against illiteracy, child labor and human trafficking. 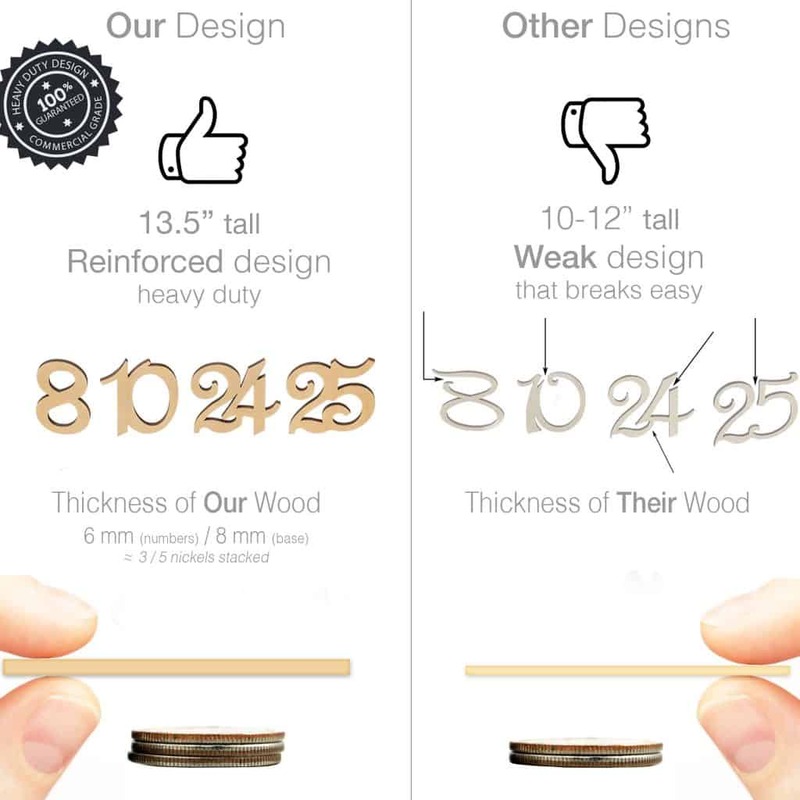 By purchasing these practical and elegant wooden number sticks from us, you become part of this cause. Thank you for helping us make this world better! Add An Extra Touch Of Elegance To Your Party Or Business And Make The Space More Functional For Your Guests, Customers And Employees! These vintage table numbers will help your customers find their tables and your waiters serve without getting confused. 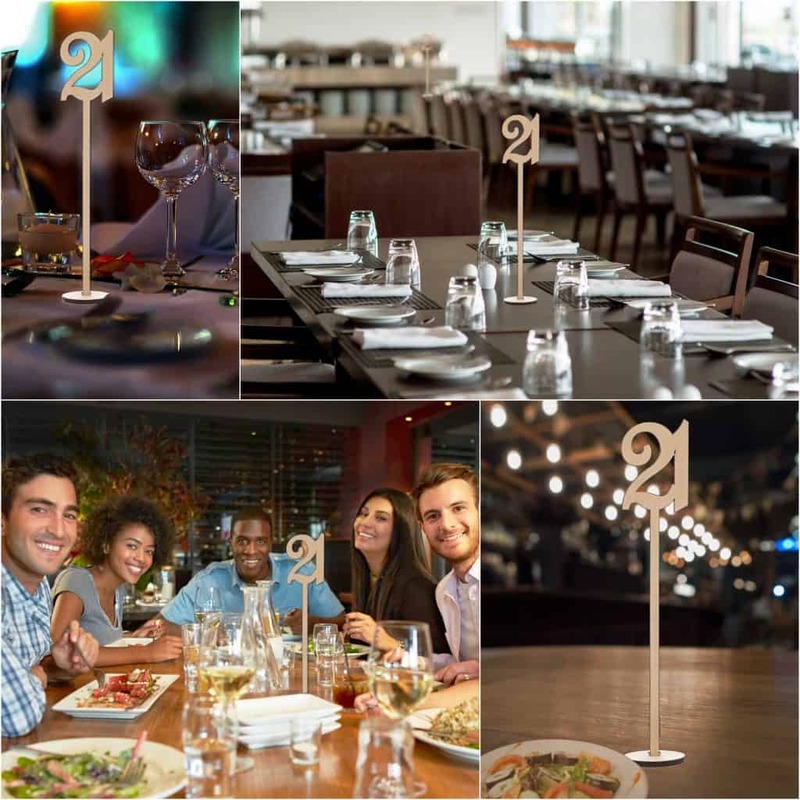 …so that your guests know which their table and seats are. With Merry Expressions you don’t need to sacrifice style for functionality! Gold Or Colorful? The Choice Is Yours! The beautiful laser cut wedding table numbers have a natural gold color and they have a high end feel to them. However, based on your style and the colors of the tables and space that you wish to decorate, you can choose whether you want to keep the natural color of the wooden numbers, or change it and give them a new color(s) or pattern. These table numbers with holders are 100% customizable, so feel free to add your personal touch to them! By purchasing a 1-25 pack of wooden table numbers, you’re helping us bring awareness and fund battles against illiteracy, child labor and human trafficking. All you have to do is place an order and we will give part of our profit to charities and organizations that deal with these issues! It will NOT cost you anything extra! Merry Expressions — Bridal & Events Products with a Mission.